Shelby Harris picks off Ben Roethlisberger. Credit: Isaiah J. Downing, USA TODAY Sports. While John Elway and other Broncos executives are in Indianapolis for the NFL Scouting Combine currently — talking to QB Jarrett Stidham and others — the team has to simultaneously be thinking about what they want to do with their upcoming free agents in-house. March 13 begins the new league year in the NFL, the date in which teams can not only sign new free agents and make trades official, but sign their own free agents as well. 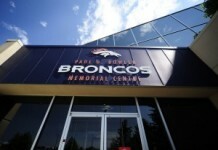 For the Broncos, and their 26 free agents, those decisions are beginning to happen already. According to Troy Renck, Denver is looking to re-sign Jared Veldheer and Billy Turner, providing depth on the offensive line. 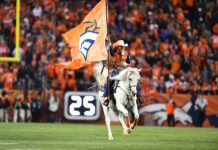 The Broncos are also continuing to work on a deal which would keep crucial center Matt Paradis in the Mile High City, while they expect Shaquil Barrett to find more money elsewhere, sadly. And on Saturday night, we learned about the team’s plans on four more players. 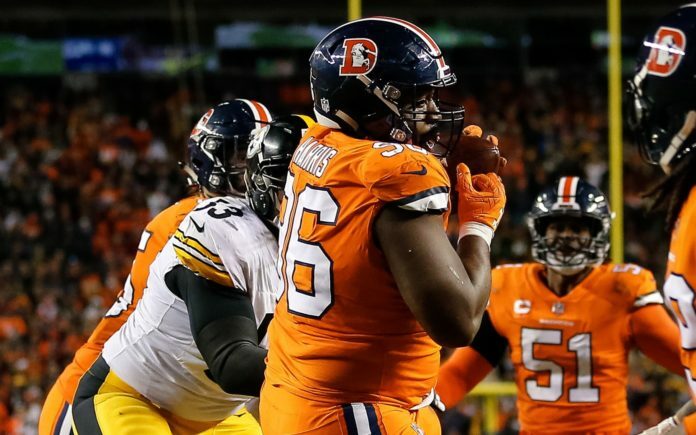 According to Mike Klis, the Broncos are expected to tender interior defensive lineman Shelby Harris, one of the best defensive ends in the NFL last year. In fact, Pro Football Focus graded him a 90.8, the eighth-best interior D-lineman in the league. The Broncos have a few options with Harris; they can give him his original round tender, which would be a seventh-rounder, or choose to make it a higher-round tender. A seventh-round tender would mean if another team signed him away, they would only have to give Denver a seventh-round pick. Putting a second-round tender on Harris would mean getting a second-round selection in return for him if he’s signed away, but it also guarantees him a higher salary. The seventh-round tender means making $2.025 million, with the second-rounder being worth a $3.095 million deal for one year. For Denver, putting that higher tender on Harris is the right way to go because he’s a valuable and versatile interior defensive lineman. He can put pressure on the quarterback, bat the balls down at the line of scrimmage, or come up with a game-winning interception like the one against Pittsburgh last year. He’s also exceptional against the run as a sure tackler. As for three other soon-to-be free agents — Jordan “Sunshine” Taylor, Matt LaCosse and Casey Kreiter — the Broncos are not expected to tender any of the three. Taylor, a wide receiver who worked his way up from the practice squad to the active roster and became a fan favorite, is coming off two hip surgeries and won’t be retained. LaCosse, who was the fourth-string tight end making a splash late in the year, is seen as more a blocking tight end which won’t fit into Rich Scangarello’s new offense. As for the Pro Bowl long snapper Kreiter, tendering him would mean that $2.025 million deal, which would be basically double the highest salary at the position. Instead, Denver will try to work out a long-term deal with Kreiter paying him around $1 million per year. 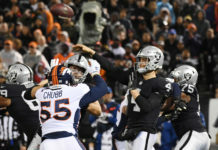 Kicker Brandon McManus wants Kreiter back, and the team should be looking to keep all Pro Bowlers, regardless of position. John Elway noted at the Combine the team will bring back Derek Wolfe and Emmanuel Sanders by picking up their respective options. Wolfe has become a key component to that defensive line, and will be even more important if the team can’t find a way to keep Harris around. As for Sanders, he’ll get at least one more year with the Broncos, complimenting their young and upcoming receiving corps.